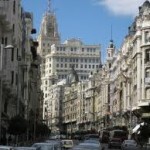 For the first time throughout EPT history, the EPT Grand Final will culminate in Madrid, Spain. European Poker Tour (EPT) has been a much-anticipated tournament for poker enthusiasts not just in Europe but throughout the world. Poker, in general, has been a very popular casino game all over the world due to its fast-paced game and simplicity and it has won the hearts of gaming lovers. The much awaited season finale is surely a big hit among poker enthusiasts. The EPT Grand Final will happen on May 7th to May 13th at Casino Gran Madrid in Madrid, Spain. For the first time in European Poker Tour history, the grand finale will not be held in Monte Carlo. Madrid has become a home of around 3.3 million people situated right at the heart of Spain and ranked among the most stunning and charming European capitals due to its wonderful architecture and other artistic heritage. 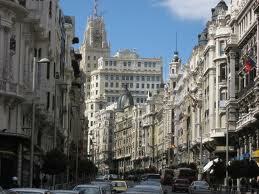 Touring around Madrid is like traveling back in time in the middle of modern lifestyle and dynamic nightlife. These features moved EPT organizers to choosing Madrid to hold the culminating part of the prestigious poker tournament. Now, let’s take a sneak peak of what to expect in EPT season finale in Madrid. What attracts people to participate in poker tournaments like EPT is the cash prize at stake. The seven-day event is expected to bring in big money for the winners. Widely recognized as the “world’s richest poker tour”, no wonder all poker enthusiasts, whether novice or professional players are expected to flock to Madrid to join the tournament. The champion also gets the chance to take home the custom-made bracelet from Shamballa Jewels. Indeed EPT not only brings fortune to the lucky winners, but prestige and fame, both admired and envied by all poker players spanning the globe. exposure. Aside from the economic benefits, the EPT Madrid is a great boost to the city’s publicity as top tourist destination in Europe. Hence, the EPT Grand Final is a sure win for all poker fanatics. Whether you are a participant or simply a spectator, being part of the prestigious tournament in an amazing place is wonderful.